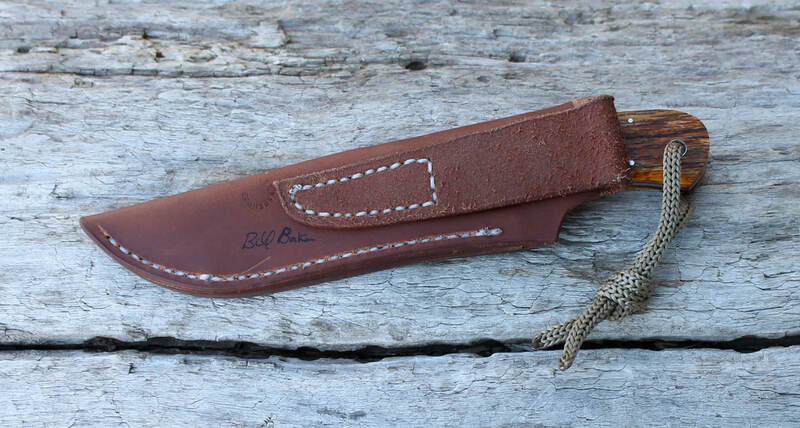 Here's a beautiful ,finely crafted clip point hunter by Bill Baker . 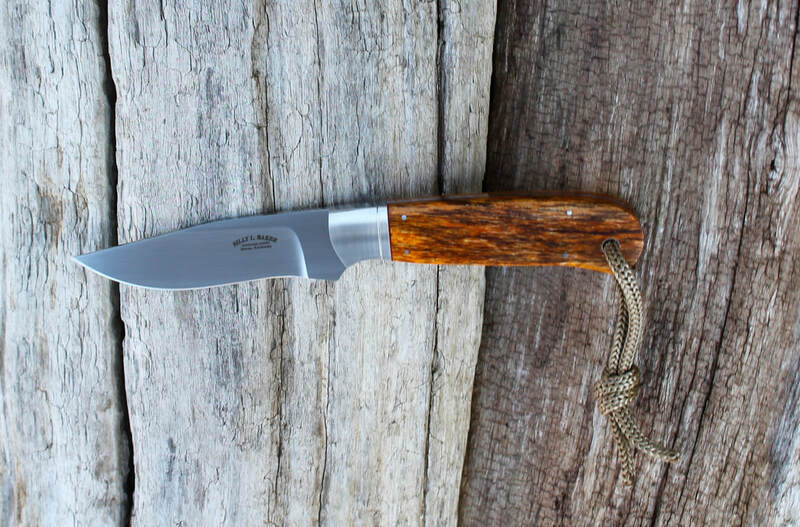 This knife has a blade of 5/32" stock CPM-154 ss ,hollow ground with a hand rubbed finish , Rc 61. 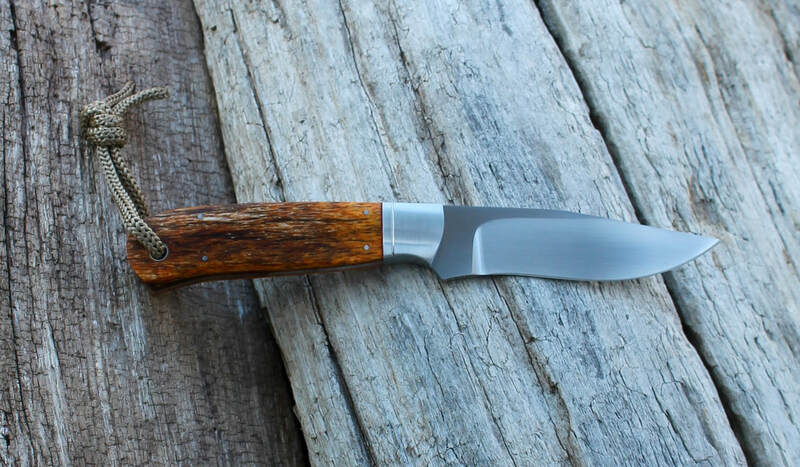 Girraffe bone handle scales ,bolster is ss with a satin finish,ss pins. Tapered tang & red liners . OAL is 7-7/8" ,the blade is 3-5/8" with 3-1/8" of cutting edge. 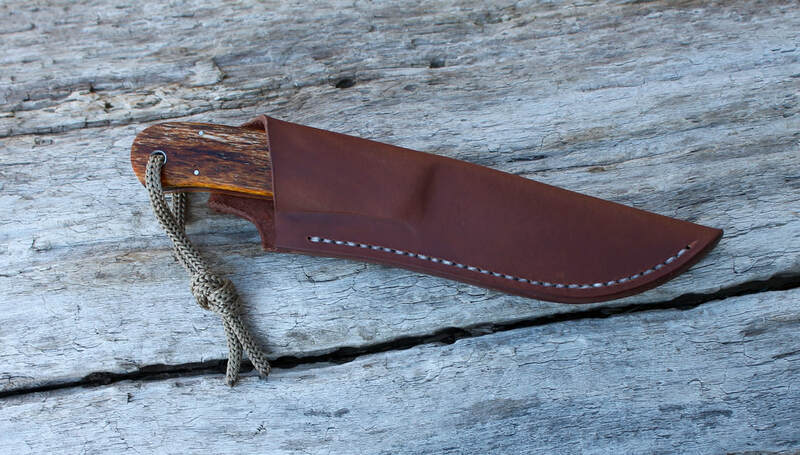 The sheath is right side vertical belt loop carry ,9 to 10 oz. saddle oil finished cowhide & hand sewn by Bill. This is a beauty by Bill,I don't get many in ,and they go fast .